Some days I love to get up really early, just as the sun is rising, to stroll the village in Carmel. It’s quiet and relaxing and the only one around is a delivery boy dropping off bundles of the morning paper in front of restaurants. Its a great time of day for window shopping and the best part is that you have carte blanche on all the parking spaces. 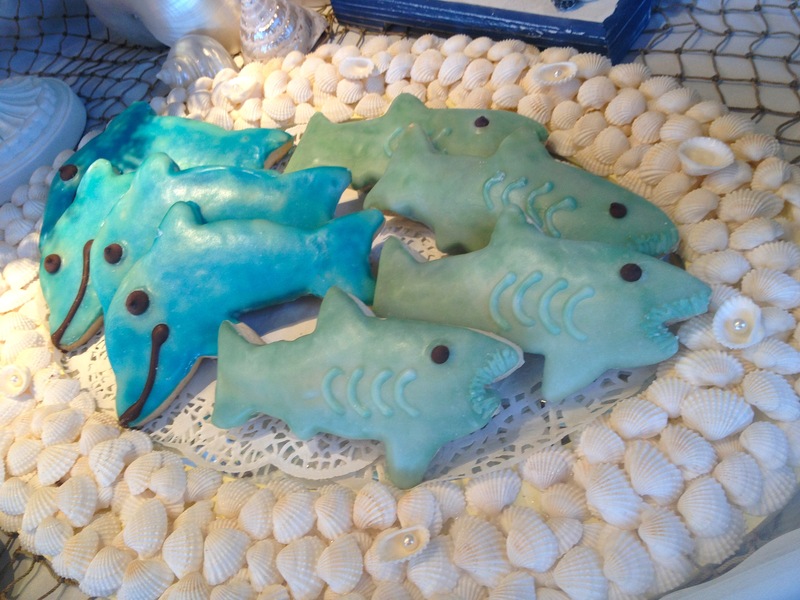 Crema in Pacific Grove is a frequent stop for me. It just seems to be in the “right place at the right time,” as I go junking often in that area. Their Verve lattes are served by expert baristas who always style a perfect heart in the foam, and some days, it’s a stop for a glass of chilled white wine and a bite. I recently discovered from their newly added lunch menu, probably the best thing I have tasted in a long time. 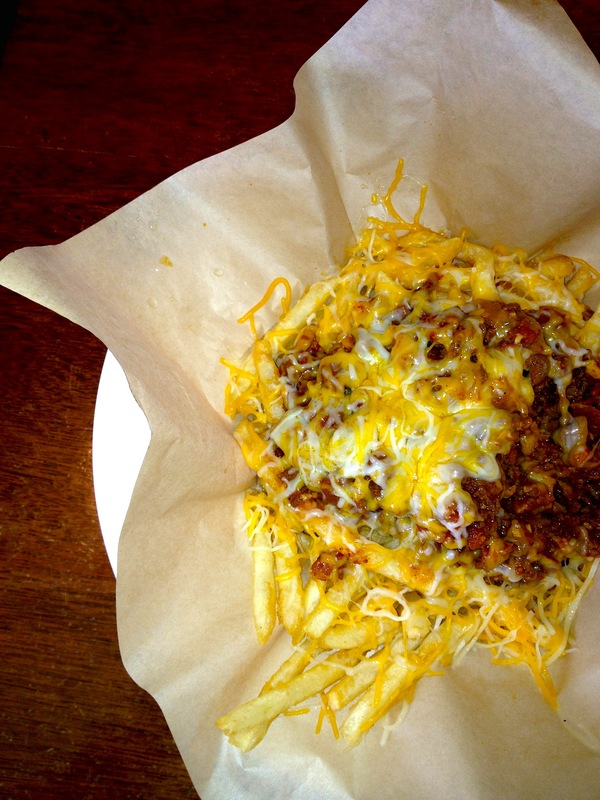 Their Tri Tip Chili Fries. Crisp garlic and parmesan french fries smothered in rich dark chili spiked with tender pieces of beef, then topped with melted cheeses. This dish alone is worth making Crema a destination stop instead of a place for a coffee and wine break. You will crave this artichoke every day once you experience Rio Grill‘s delicious version. 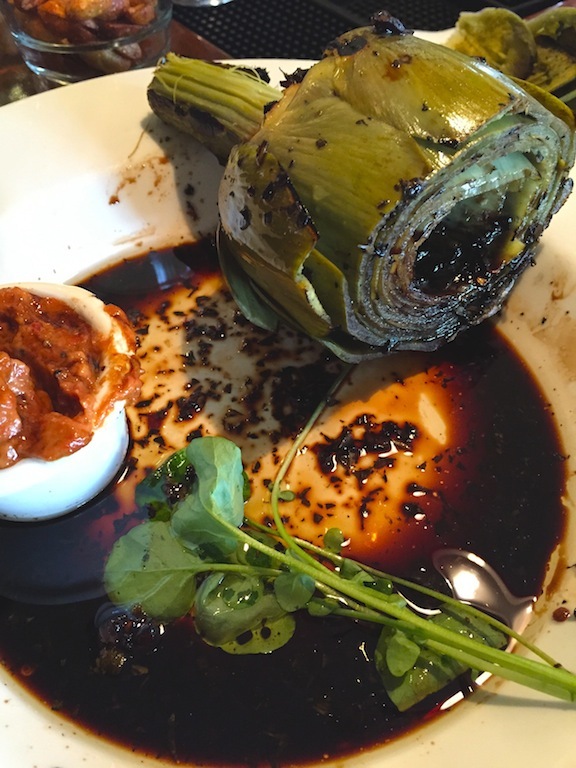 It may be the sweet balsamic dressing or that the artichoke is freshly grown in Castroville. Whatever the reason, it’s addictive. Rio Grill is my neighborhood hangout. Check out their menu under “Best Happy Hours.” Great wines, martinis and a bar full of regulars. Some standouts are the Poblano Pepper with Red Quinoa, Grilled Prawns on Penne Pasta, The Skirt Steak with Yam Gratin, and all the appetizers. Oh no. Crema did it again. 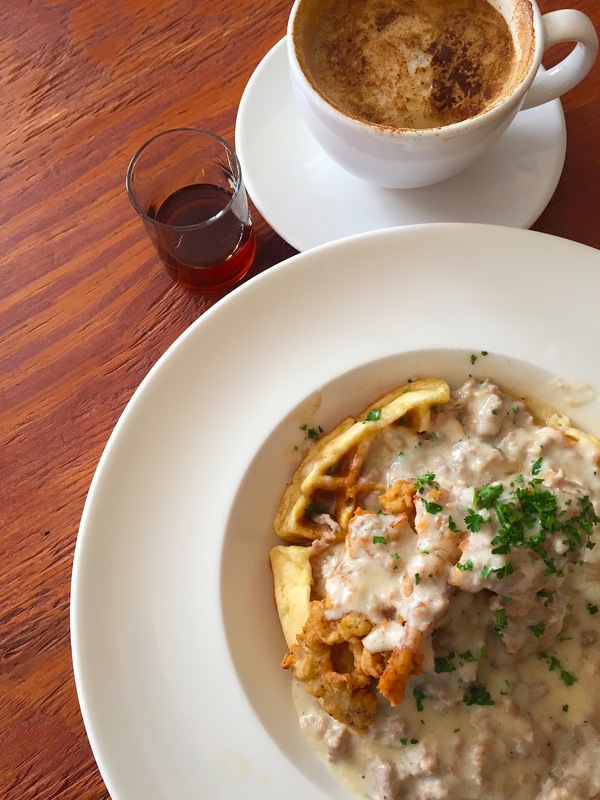 Belgian Waffles topped with Crispy Fried Chicken, all smothered in Tamie’s own Spicy Sausage Gravy. Served for brunch on Wednesday-Sunday. It’s the best version of this Southern Comfort dish I have ever tasted. A new summer street taco just hit the menu at P.F. Changs. Wild-caught lobster wok-seared with fresh cilantro and lime, tossed with red onion and fresno peppers, in a crisp jicama shell. 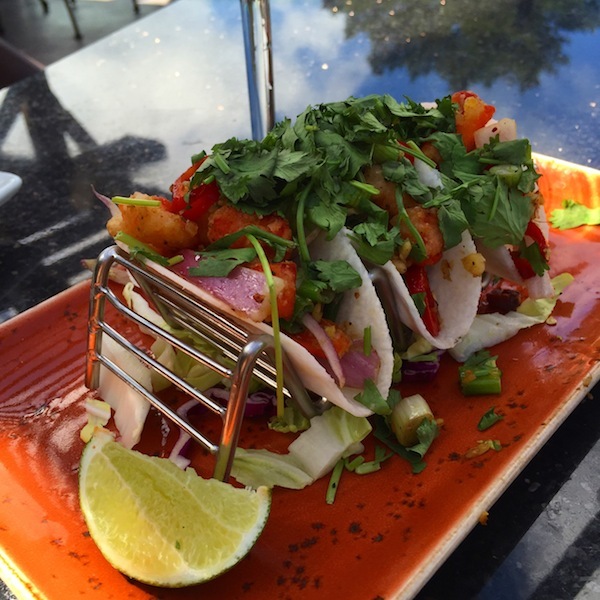 3 tacos arrive on a rack, spilling out with lobster and veggies for only $10.50. Pair with a glass of Albarino, and even a $7 happy hour plate of ahi sushi.